Purpose: To teach academic reading skills and vocabulary while incorporating archetypal stories to inspire success through transformative learning. Academic reading skills: Students will learn and master the following academic reading skills: how to use context clues to find meaning of new vocabulary, understand what a main idea is and its purpose in a text, identify supporting details and use them to structure notes, find and use topic sentences to locate main ideas, determine main idea when not directly stated, use context and prior knowledge to make inferences in reading, use patterns of organization and signal words to process text and take notes, understand the elements of making a good argument, and recognizing common errors made in arguments and how to avoid them. Knowledge for transformative learning: Students will gain insight into personal narrative and the ability to create change in life by editing and taking control of their own personal narrative. Students will examine their personal goals and look at ways to reach those goals. Students will recognize the need to reach out to others for support and to see the value of helping others. Students will gain a knowledge of successful and unsuccessful transformation-underworld processes and how apply them to life and learning. Students will learn why it is better to properly prepare and think through situations. Students will learn not to let their emotions, especially anger and frustration, stop them from pursuing their goals. Students will learn to use their resources and creative solutions to overcome obstacles. Students will understand the goals and expectations for the class. Students will complete the entrance assessments for use in instructional planning purposes and comparison with exit testing. Students will put into words a personal statement of their identity and projection toward future self. Students will gain insight into personal narrative and the ability to create change in life by editing and actively authoring their own personal narrative. What are the class procedures, expectations, grading policies, and other functional information for the class? What is a personal story and how does it effect how we see ourselves and how we are seen by others? How do we edit our own story to create change? What do the tests report about the students’ academic reading skills, vocabulary level, and comprehension abilities entering the class and how will it guide instruction? Students will be able to use context clues (synonyms, antonyms, examples, and general sense of the sentence) to determine meaning to unfamiliar vocabulary. Students will understand the value of learning to find meaning through context. Students will recognize how stories give meaning through layers of prior knowledge and give readers a way to personally relate to the material. Students will have a basic introduction to mythology and archetypes. What are the four types of context clues and how can we use them to figure out new vocabulary? What is the purpose of telling stories and how do they relate to meaning? How does learning how to read context clues make more efficient readers? How does understanding the origination of words help us to be better readers or to be contextual learners? What is an archetype and why are they important? Days 1 and 3 – class participation and non-mandatory practice exercises on computer. Students will be able to differentiate between general and specific. Students will understand the difference between main ideas and supporting details. Students will be able to identify and utilize key words (list and addition) to find main idea and supporting details. Students will gain understanding and function of key words and transition words in reading and writing. Students will be able to identify personal goals and what it will take to reach those goals. Students will gain inspiration and ideas on how to achieve their goals through class-led discussion of meaningful quotes from the book. What is a main idea and why does it matter? What are key words, how do they function, and how to use them to comprehend and process texts? When you hear excerpts from your classmates’ narratives, what does it make you think or feel? How did you react when you heard someone read a piece of your narrative? What can the novel teach us about life, about ourselves, and about each other? How does the theme of the novel relate to the concept of main idea? Day 1: Introduce new concept – What is a main idea and what is its function? Students will be able to differentiate between main idea and supporting details and furthermore, of major and minor supporting details. Students will understand how main idea and supporting details work together to give text structure and can be used to process information for notes. Students will explore note-taking strategies and textual differences. Students will gain understanding of the transformation process and how it applies to the college student. Students will explore concept of giving and receiving support in order to collectively experience validation and growth. What is a supporting detail and how does it function in a paragraph? How do we differentiate major and minor details and why that matters in academic reading and note taking? What are effective note-taking strategies and how does identification of main idea and supporting details aid in this process? How do we create a system of support and how do we support others? What happens when we can help someone? Students will be able to identify when a topic sentence is present and use it to state the main idea of a text. Students will be able to identify the main idea of a text even when the main idea is not directly stated. Students will explore underworld myths and compare them to discuss personal connections and passive vs active both in life and learning. Students will explore underworld myths and compare them to discuss the benefits of living actively and taking control. What is a topic sentence and how to use it to state the main idea? How to find and write the main idea when it isn’t directly stated? Why should the student rewrite a main idea if it is stated in the topic sentence? How do the stories of Persephone and Inanna differ and why that matters? How do the stories relate to the student, personally and to college students in general? What can the stories teach the student about transformation and the process of investigation and self-discovery? Students will be able to identify common patterns of organization in texts including time or addition, cause and effect, compare and contrast, and definition with example. Students will identify key words for determining patterns and relationships. Students will understand how patterns work to help the reader gain understanding and process information presented in the text. Students will use knowledge of patterns in a text to guide note-taking strategies. Students will explore the idea of relationship with a text and how to understand that relationship as it applies to reading and note-taking strategies. What are the common patterns and functions for academic reading texts? How can the knowledge of these relationships within the text help the reader to process, understand, and take notes on the text? How are relationships in a text or with a text like relationships between people? Why does our time matter and what does our choices for how we spend that time reflect our priorities, passions, and path for the future? How does the purpose of reading change the relationship and determine the appropriate level of interaction for the text? Day 2: Readlationships – how do we relate to texts? Students will be able to use inferences to connect to text and aid comprehension. Students will look at how perspectives are different based on prior knowledge. Students will understand why it is better to prepare for situations, use the proper materials, and how thinking critically can be critical for survival. Students will revisit the big topics from The Alchemist and apply it for class discussion. Students will acknowledge the power of pursuing a personal path and explore the idea of their own personal path. What is an inference and how do you make a good inference? How does prior knowledge and experience effect an inference? What are some big themes in The Alchemist and how do they relate personally and to college students in general? How can the universe help you achieve your dreams? Students will be able to identify necessary elements of a strong argument. Students will be able to evaluate an argument based on strength of the support. Students will be able to apply their knowledge of argument to craft a well-supported written argument paper. Students will be able to evaluate a text beyond content and look to all the information available about a text. Students will see the value of hope and perseverance. How to measure if support is adequate and logical? What does the reader need to consider when critically reading a text? What is hope and why does it matter for a college student? Students will be able to identify six errors in reasoning and six propaganda techniques commonly seen in arguments. Students will learn to read through the faulty reasoning and avoid using them in their own writing. Students will identify and outline main idea and supporting details in peers’ papers. Students will learn to give and receive productive feedback. Students will learn the value of being cautious without being fearful. Students will learn how emotions can stop a person from moving forward in life and how to overcome that with using intelligence and creative problem solving. What are the common errors in reasoning and propaganda techniques seen in arguments and what is the difference between the two? How do we recognize and avoid faulty reasoning? How do we give feedback that is helpful – not overly critical and not too nice? How do our emotions hinder our progress? How do obstacles become bigger and how can we overcome them? Assessments: Formative assessments – Day 1 – class participation and non-mandatory practice exercises on computer. Students will feel a connection with their learning community. Students will be able to make a positive statement of self. Students will complete all exit assessments. How does it compare to the narrative written at the beginning of the course? Supplemental materials: Specific lesson plans, texts for the story connections and other related material are included in a separate folder. When looking at the collective stories of any group of people it is not only important to look at what the stories say but also how those stories are attained. In his book “Reading the Voice” Zolbrod hypothesizes that oral poetry is meant to be transmitted from spoken voice to listening ear and that when it is encountered in a written form, it needs to be acknowledged that something is lost because the words are meant to be encountered not read. While the words themselves have importance; the rhythm, the tonal inflections, the language, and the experience of one person speaking or singing the poetry and the other hearing it are just as important. There are benefits and constraints to both the written word and the spoken word. Scholars have been working to put onto paper the songs and stories of non-written cultures in order to share and preserve them but what is lost is the context which must be in the least, acknowledged and ideally, experienced. As I mentioned, there are benefits and constraints to both oral and written transmission of stories. While documenting a story by putting it on paper or on a recording does give the story a level of authenticity and permanence that can’t be assured with oral transmission; it does not have the same power. Written words do not change, they are fixed so generations from now, a person can read and know the stories. The stories may even be recorded electronically so the voice is still heard, the body movements, and experience seen but that is still not oral transmission. With oral transmission, there is a human contact that over time, becomes a relationship. It means the student is accountable to an elder or elders. These relationships also carry traditions, responsibilities, and guidance to the young people that seek them. The drawback to oral transmission is twofold as I see it. First, there must be a teacher for the student. Oral transmission can’t occur unless there is someone willing and able to pass on the traditions. The other drawback that may be seen as a positive by some is that the oral transmission can be fluid. Stories, even when sung and passed down through the generations can change. As seen with bird singing, the songs may lose their words because the singers don’t know the language they are singing or they may lose their sound due to younger singers trying to set themselves apart in pow wow competitions. Neither written or oral transmission is superior, they are just different and have different purposes. For bird singing the transmission must be oral and experiential. For this paper, I will be looking at the transmission of a specific form of poetry, the bird songs of the local Cahuilla people. The Cahuilla people can be generally divided into three groups based on the geographical region in which they lived: Desert Cahuilla, Mountain Cahuilla and Western (San Gorgonio Pass) Cahuilla. All three spoke the Cahuilla language, had similar lifestyles and practiced the same traditions. There are a total of nine Cahuilla Indian nations (Green). This form of oral poetry was almost erased from the culture by the years of forced separation, assimilation, and education of Native children by the American government. Its phoenix-like resurgence in the local Native communities is a testament to the power of the songs and their need to be heard. Now that more people have been exposed to the bird songs, issues of transmission and legitimacy are being raised. The question of what it means to be a bird singer has been raised and the importance of how the songs are learned is a major part of that discussion. In this paper, I will attempt to offer a glimpse of the Cahuilla people through their songs. Not the words of their songs, the experience of the songs and their importance to the people. For eight years, I worked at Noli Indian School on the Soboba Reservation in Southern California. It was there I witnessed the revival of bird singing. Today, if you attend a pow wow or similar function in Southern California you will likely see several bird singing groups, each with their own set of songs, sometimes the same words just sung in a subtly different way. The practice is so prevalent that it is hard to believe that the tradition was almost lost when the last ceremonial singer, Joe Patencio, passed away in 1977. A group of men decided to make an effort to bring the songs back to the people. With the help of a grant from the California Arts Council, young men within the tribe were partnered up with mentor bird singers to help the practice continue to the next generation (Sing birds, 2009). It was their passion and dedication for sharing the songs with the young men of the tribe that brought this tradition back to life. Working at Noli Indian School, I learned a lot about bird singing and had the fortune to listen to many of the elders like Ernie Morreo, Alvino Siva, Anthony Andreas, and Sat Torres in person before they passed away. Also, I had the honor to work alongside Kim Marcus, the man responsible for so many young native youth learning their songs and culture. Mr. Marcus is the school counselor, culture teacher, distinguished elder, and bird singer at the school. It is due to his efforts that bird singing is such a large part of the culture of the school. In culture class, boys make gourd rattles and girls sew ribbon shirts and ribbon dresses worn by the singers and dancers. Songs are a part of the everyday life of the school, not something learned as much as experienced naturally. Those that want to learn can practice and perform at school functions and weekly during lunch breaks. Elders within the community are often present on campus helping transmit the songs to the next generation. Many bird singers perform with the students and the school has its own group that performs at local cultural events to educate people about bird singing, this is Mr. Marcus’s group, the Noli Bird singers. This group includes Mr. Marcus, elders like Willis Torres, students that are establishing themselves as bird singers, and students that are just learning bird singing. In my eight years at the school, I saw a handful of students that actually bore the label of bird singer. Bird singing can be practiced by any of the students but only certain students labeled and respected as actual bird singers. Since there are no longer any practicing Shamans, the official title of ceremonial bird singer has been lost but there is a difference in stature of a boy that is learning the songs and a boy that is a bird singer. These boys were also usually in a lineage of bird singers, they came in knowing their culture and the school just nurtured their growth. Some of the boys I watched become bird singers were Bo Bullchild, Joe and Dominic Duro, Julio and Daniel Briones, William Morrell, Dusty and Rocky Rhodes, and Adam Trujillo. To “be a bird singer” is more than just memorizing the songs and performing. A young man couldn’t just sing the songs, he had to know what they meant. This means the young man has to learn his culture, learn his language and adhere, or attempt to adhere to the code of conduct of bird singers. They had to carry themselves in a manner that befitted the respect they received from the community. For instance, bird singers are not permitted to use drugs or abuse alcohol. If a singer is using drugs or drinking excessively, the other students would become upset with them and help them to get back on the path. Out of respect, singers should stop singing when they know they aren’t living an honorable life. This has led to some tensions within the community as many of the younger singers bend the rules, especially the use of marijuana and alcohol. The songs have importance because they hold the history of the tribe and to sing them in the wrong way is to take power from the songs. It is important how they are taught and practiced. Both student and mentor need to recognize the sacred nature of the songs and the relationships that grow from their transmission. The relationship between elder and apprentice bird singer is a special one, not unlike the relationship between Guru and disciple. This is because of the sacred nature of the material. It isn’t just teaching, it is mentoring. It is a care relationship not unlike father and son. “The transmission of Dharma requires language, encounter, and human relationships” (Tsyogal) just like bird singing. Some people try to learn the songs by listening to the recordings and imitating them but this is the wrong way. It must be transmitted just like Dharma, by acquiring the language, encountering the songs and their ceremonies and by building relationships with elder singers. The songs tell the creation story, track tribal migration and history and reinforce native language transmission but they also foster a code of conduct in the community. They are a major part of tribal gatherings and bird singers are respected members of the community, members that are following their cultural calling and keeping the songs alive. Being a bird singer is no small task. Bird singers are often asked to perform at gatherings and ceremonies. In the community, if there is a death, the bird singers will be asked to sing. On the night of the wake alone, the singers will sing from sundown to sunup, often in a small room with tobacco smoke hanging in the air. The bird singers are often exhausted both mentally and physically after these events. Many times, Mr. Marcus would hardly be able to speak after perfoming the songs for a passing tribal member. The importance of teaching the young people culture, especially the bird songs is highly stressed at Noli Indian School as well as on the reservations. “A 1990 census revealed that there were only about 35 people left who could speak the Cahuilla language. The language is nearly extinct, since most speakers are middle-aged or older” (Green). Soboba tribal hall hosts weekly storytelling nights, language classes, and basket weaving gatherings. Many of the other local reservations have similar events and most have annual gatherings and pow wows where bird songs are sung and danced. Each day Noli School begins with tobacco offering and prayer, at least once a week bird songs are performed at lunch, often with community members in attendance, and special events occur throughout the year like presentations from community members and the annual gathering. The important lesson is not the songs themselves necessarily but the way they are taught and what they have to teach. Since these songs are taught through practicing together, there is a strong bond that develops between the elder singer and his students. Most men teach the songs to boys in their direct family; sons, younger siblings, or nephews. Even with the resurgence of the tradition, the tradidion struggles to survive intact. Life on the reservation is a struggle for the young men and many from the reservation die young or find their way into the prison system. Sadly, two of the bird singers I saw emerge from the school Dusty Rhodes and Joe Duro died shortly after they graduated high school from gun violence while others ended up in prison, or fell prey to addiction or crime. This is part of the reason many boys at Noli School do not have that strong male role model to teach them the ways of their people. Many of the families were led by women because it was the women that were the ones that raised the families and become elders. This is where men like Kim Marcus and many others stepped in to give these boys instruction on what it means to be a strong, Native man. They were taught what it meant to have cultural pride and a heritage. The way these songs are taught are by experience and social interaction. The men and boys get together and sing. They sing at social gatherings like funerals, fiestas, and even just backyard get togethers, anywhere can be a place to sing. At first, a boy will just shake the gourd rattle with the others, next he will hum along but eventually, he will sing. By the time the boy sings, he will have spent enough time with the elder singers to have learned much more than the words to the songs, they will have taught him about his culture and how to be a man. They will have created bonds that hold the young man to have respect and act in a manner that is culturally acceptable. This is why the method of transmission is so crucial for keeping the bird songs alive. In our world today of electronic media, the songs have been recorded, the words and stories will no longer be lost but the tradition, the language, and the social interactions are also in jeopardy of being lost. Now that the words of the songs, the performance aspect is safe, the sacred needs to be protected. The revival of bird songs has brought some mixed feelings about the future of bird singing. “The loss of the Cahuilla language, infusion of money from Casinos (in some of the bands), contemporary western culture and issues of mixed blood have all affected the intention of the singers and the purity of the bird songs” (Sing birds : following the path of Cahuilla power – National Film Network). The culture of the Cahuilla people was almost destroyed through the over 100 years of forced assimilation of reservation youth. Now that the culture is being brought back to the reservations, the people need to decide how much they will allow the old rules to bend in order to attract the younger people to participate. This is not limited to Native cultures but can be seen universally. The issues have to do with who can participate, how they need to be taught, and how they must behave once they are taught. This is not a matter of who is allowed to participate in social gatherings or simply want to know about the songs, which is open to everyone. This concerns becoming a ceremonial bird singer; one that has the respect from the community, sings at special functions, and learns the sacred songs. I will attempt to introduce and look at each of these issues. I am only trying to look at the arguments, I am not trying to take any position on the subject. They are part of an ongoing conversation within the bird singing community and in many Native communities. There is no wrong or right answer, just a conversation. First, there is the matter of exclusivity. The battle to keep the culture alive has not been an easy one through the years. It makes sense that after struggling so hard to revive the culture, the people are now very protective of that culture and do not want it put under the scrutiny of those that do not understand the context. Bird singing is a sacred tradition and the songs hold power. Some members of the community argue that anyone that wants to learn the songs, if they want to do it from their hearts, should be permitted to learn. They are more concerned that the songs do not die out. Then there is the other side which wants to limit the songs to members of the tribes that traditionally practiced those songs. They may talk about blood qualifications and tribal enrollment. The matter of blood quantum and enrollment is a huge, heated issue in the local tribal communities especially since the economic boon of casinos hit those communities. Members that have identified themselves with a tribe for generations have been and continue to be disenrolled to increase the payouts for the members that are still enrolled. I admit to feeling slighted as an outsider when I hear that tribal members want to exclude outsiders from learning their traditions. This is natural but I have to look at it from the perspective of the people that are trying to protect their dying culture. It is not about keeping people out, it is about preserving the specialness of the songs. By limiting the amount of people that learn the songs to specific individuals, the members are trying to protect the way the songs are transmitted and also keep the power and sacred nature of the songs alive. While tribal members may also approach the songs in the “wrong way” just like an outsider, it is less likely that they would do so if properly exposed to the culture. When too many people learn a tradition, the tradition begins to weaken. People begin to learn the songs without the traditions, they do not understand the power of the songs so the songs begin to lose their power. We as humans value that which is limited, like time or gold. If everyone could sing the songs, eventually they could lose their meaning, especially when the people singing the songs do not know the language. It becomes more performance than ceremony and loses its power. One way to protect the bird songs from becoming performance pieces is to limit the way these songs are learned. In my mind, this seems to be a bigger issue than the first. The manner of transmission has everything to do with what is sacred and powerful about the songs. The songs are not something that can be learned from recording or books. They have to be learned experientially and through human interactions. Many would also argue that to sing the songs, the singers should know the language and understand what they are singing. While many of the young singers know the songs and their meanings, not as many know the individual words they are using. When the singers do not know the individual words and their meanings, it is more likely for them to sing the songs incorrectly, the songs just being sounds not actual words. This is a criticism from some of the elders that do not just want to see the practice of bird singing survive, they want to see the transmission of language and culture to follow that practice. The last issue raised is the code of conduct for bird singers. This is a difficult line to balance when trying to keep a tradition alive. Similar to the issue of who can learn the songs because it is about protecting the power of the songs. Reservations are known for their alcohol and drug problems. Many of the young men that want to learn the ways of bird singing also want to experiment with drugs and alcohol with their peers. The problem with this is what to do when a singer becomes involved with “small” infractions, like smoking marijuana. For some members of the community, this is not seen as a “big deal” but others lose respect for the singers when they do these things. Respect from the community is crucial for the songs and singers to have power in the community. At all bird singing events on campus, the respect for the songs was maintained and emphasized. Staff members and often other students would remind each other to remove hats and cease speaking as the songs begin. The respect for the songs gives them the power and by holding themselves in a place of honor with a code of conduct helps to give those singers their respect within the community. The future of bird singing is much brighter than it was thirty years ago but it is still a shaky future. With high rates of death, incarceration, alcoholism, and drug use on the reservations it is easy for young men and women to stray from the cultural traditions. I saw the young bird singers struggle with trying to stay on the path. Even some of the older bird singers stray occasionally. It is a difficult responsibility to hold the position of ceremonial bird singer. Not only to keep a code of conduct but also to perform at so many functions all over southern California. It is a daunting task that not many young men today are willing to attempt. The songs may live on but the traditions and culture that are transmitted with those songs are still on shaky ground. It is important for the Cahuilla people to keep their songs alive but it is also important to humanity. We are at an interesting time in history. With technology and globalization, cultures are mixing and melding at a rapid pace. This is at the same time wonderful and alarming. It is amazing and wonderful the amount of information one can find simply by turning on the computer but what is the cost of this convenience? Globalization can also be called assimilation into a larger world community and when assimilation occurs, often so does a loss of the original culture. This is not always a bad thing, some cultures need change but they shouldn’t be forgotten. By looking at the issues facing the Cahuilla and their attempts to revive their cultural tradition of bird singing, we see our own desire to connect to a larger cultural context and what that means in a society of instant information. The transmission of stories, language, culture, and the mentoring to the younger generation are issues that face all of humanity not just the Cahuilla. Green, Mary. “The Cahuilla People.” The Cahuilla People. Augustine Band of Cahuilla Indians. Web. 22 Mar. 2015. <http://augustinetribe.org/cahuilla.html&gt;. Sing Birds: Following the Path of Cahuilla Power. No Special Ability Productions, 2009. DVD. “Sing Birds: Following the Path of Cahuilla Power – National Film Network.” Sing Birds: Following the Path of Cahuilla Power – National Film Network. National Film Network. Web. 22 Mar. 2015. <https://www.nationalfilmnetwork.com/store/ProductDetails.aspx?ProductID=1110&gt;. Tsyogal, Yeshe. Lady of the Lotus-born: The Life and Enlightenment of Yeshe-Tsogyal. Boston: Shambhala, 1999. Print. Zolbrod, Paul G. Reading the Voice: Native American Oral Poetry on the Written Page. Salt Lake City: University of Utah Press, 1995. Across so many miles and months. The mountains inhabited her soul. They had grown use to living apart. She reconciled herself that she had her mountains. And would forever be gone from her life. And they would be cold soon. Keeping each other warm through the storm. Before the snow touches her soul. 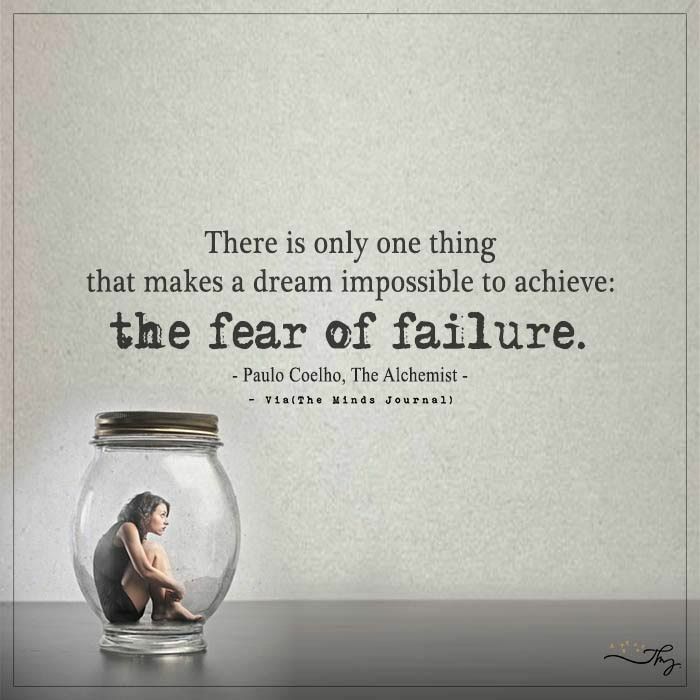 Recently, my students read Paulo Coelho’s “The Alchemist” for their class novel. In talking about the book, I began to remember my dream from childhood. It’s not that I really forgot my dream, it’s just I let it get dusty because I am afraid. Fear is the thing that is holding me back – really nothing else, fear and time. I wanted to be a writer when I was a kid – even before I could read and write, I wanted to write books. There, I’ve said it, it’s out there and I won’t take it back. I want to write and not just that, I’d like it if people actually read what I wrote. So, what to write? I don’t want to get too personal, just want to start writing for now. I was thinking I could do holidays – that only requires a once a month commitment – but then I missed April Fool’s Day, Easter, and May day – I totally did research for them, just didn’t get the writing out. I did exactly what I told my students not to do – I got started, I got fired up but I let it fizzle with my inner doubts. Why write this? No one will read it and my time can be better spent ______ fill in the blank (cleaning, studying, playing with the kids, learning guitar). This time, I’m not going to worry who will read this because I just want to write. This is not polished (obviously) and may be a bit unclear but that is my process – get it out there and then make it better in a future version and look back at this to see how far I have come 😉 hopefully, right? Oh, and I did manage to get a piece out for St. Patrick’s Day – I think I called it snakes and clovers – something like that – it’s here on this site if you’re interested. Writing this made me think of where I am right now in my life and it sort of scares me. I am in transition – more specifically, I am in the conclusion phase of much of my life. My three long years of monthly trips to school are over with my trip next month and I will have time off until I start my dissertation writing in the fall. My students are in the midst of finals and I won’t be working for about five weeks. My son will be starting school in August (AUGUST 1st!!). I even realized that I am ending my training at the gym in two weeks. As always – I thrive off of feedback so I would love to get some comments on this or any of my writing. Growing up in Southern California, to me, Saint Patrick’s Day meant wearing green, pinching people, drinking excessively, being Irish, and people eating corned beef and cabbage. It wasn’t a big deal but now that I am older, I really like Saint Patrick’s Day. It is a day of metaphor and stories. Saint Patrick was a real person that died on or around March 17, 461. He was born in Britain to a wealthy family. At the age of 16, he was kidnapped by pirates and spent the next six years as a slave in Ireland. During his captivity, he was a lonely shepherd and became a devout Christian. Because Patrick was a writer, we know that he had visions, heard voices, and was guided by his dreams. God spoke to Patrick in a dream and told him it was time to escape Ireland. In a second dream, an angel told him he should return to Ireland as a missionary. Following this guidance, Patrick entered religious studies for the next fifteen years. He did not actually introduce Christianity to Ireland but he did popularize it. Saint Patrick is not only falsely credited with introducing Christianity to Ireland, he is also credited with driving out the snakes. Ireland is one of the few countries were snakes have never been native. During the Ice Age, the island was too cold for snakes and later it was too far for snakes to swim. This myth was most likely a metaphor for what Saint Patrick really did, he helped Christianity to prevail over paganism in Ireland. Metaphorically, for Christians, serpents are evil creatures. They are low, they slither on the ground, and of course, it is the serpent that tricked Eve into eating the apple and introducing evil and suffering into the world. In reality, the biggest obstacle to Christianity in Ireland was the established Celtic and pagan religions and celebrations. Instead of trying to eradicate these traditions, Patrick decided to incorporate them into his lessons on Christianity. By doing this, he helped popularize Christianity and thus banished the snakes (paganism) from Ireland. What can we learn from Saint Patrick? Saint Patrick’s most popular stories are false but his true history has much to teach us today. Patrick listened to his inner voice and followed his dreams. As a shepherd and slave, he dreamed of his escape, return, and conversion of the Irish people to the Christian faith. He knew the importance of his dreams and he not only recorded them but he allowed his life to be guided by them. Saint Patrick’s true success came from his ability to compromise. His goal was to bring the Christian faith to the people of Ireland. He was not the first missionary to attempt this goal but he was the most successful because he knew the Irish culture. Instead of just trying to convince others to believe the way he believed, he learned about their beliefs and incorporated them into his own. These incorporation made the Christian beliefs more acceptable to the pagans of the day but also more interesting and rich for those of us that celebrate these holidays today. Think about Easter without the eggs, Christmas without the tree, or Saint Patty’s Day without the green beer (our modern day compromise of turning a religious holiday into a secular drinking event). I like to think that it was Saint Patrick’s example of incorporation that led to these other rich traditions of merged cultures that have become our new cultural traditions and old historical rituals to discover. America has often been called a melting pot. In a melting pot, all of the original ingredients are melted down into one new creation. This new substance is usually most characterized by whatever element is most prevalent within the mix. America isn’t and shouldn’t be a melting pot. We can take our example from Saint Patrick and instead make a nice hearty stew of incorporation. In a stew, all the elements retain their unique characteristics adding to the flavor, complexity, and beauty of the whole. Carrots on their own taste great but when cooked in stew, the flavor remains but it is enhanced by the savory warmth and flavor of the meat and gravy. Our country is great because it is not a melting pot, it is a hearty and ever changing stew.